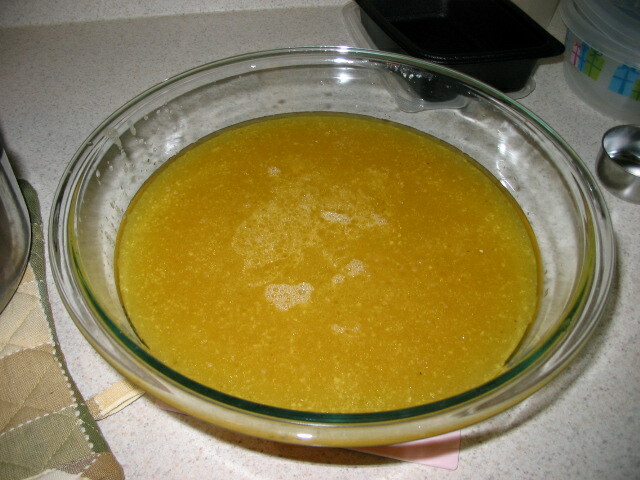 In a stockpot melt the butter over medium-high heat. Add the garlic, onions, celery, cauliflower florets, and potatoes. Sauté for 10 minutes. 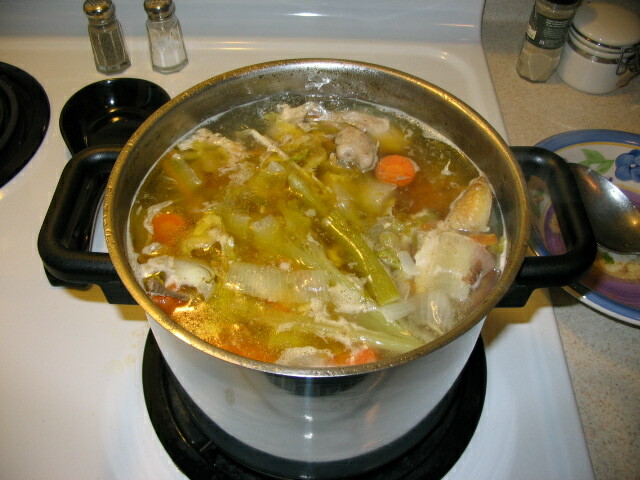 Add enough stock to cover the vegetables and bring to a boil. 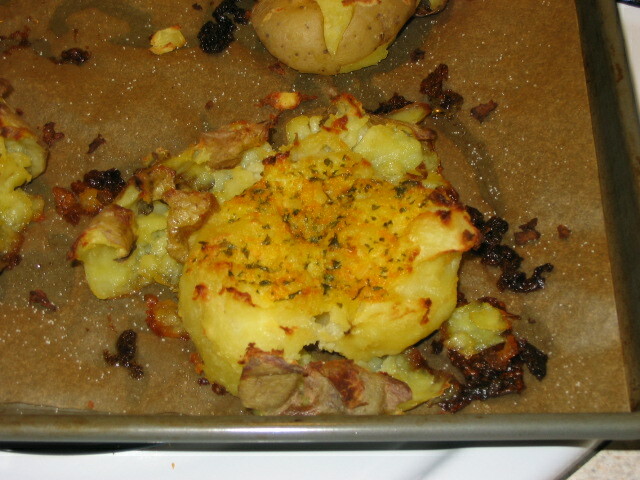 Reduce the heat to medium and simmer until the potatoes are tender, 30-35 minutes. Remove from the heat. Add the cheese, cream, nutmeg, mustard, Worcestershire sauce, Tabasco sauce, salt, and pepper. 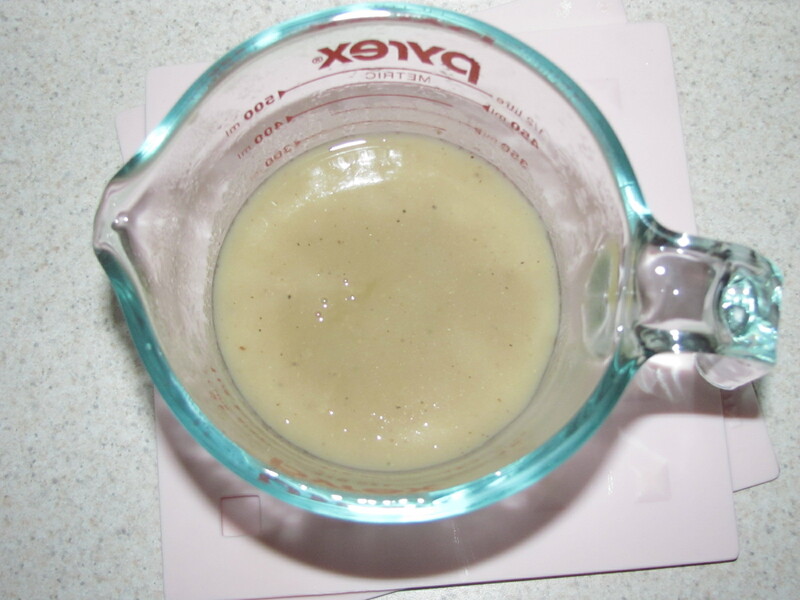 Puree the soup in the pot using a hand blender or working in batches with a regular blender until smooth. Since the halved recipe still made way more than I want to eat in the course of a week, I froze a little to test it and see how it thawed. 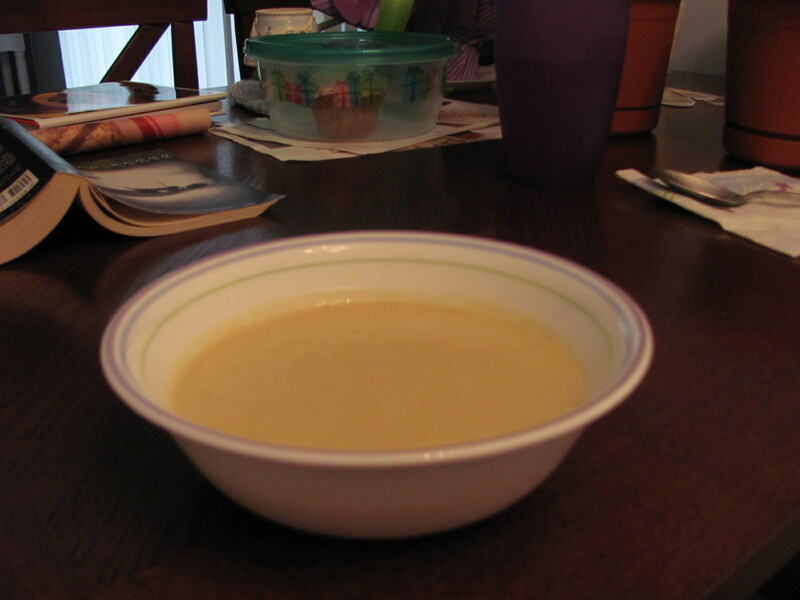 It seemed all right, although I know generally cheese soups shouldn’t be frozen… I have seen some sites that say you can, you just have to gradually bring the temperature of the soup down (room temp. to fridge to freezer) and then do the same when reheating it. I guess I’ll find out if that works when I reheat the batch that’s in my freezer!! Having never done any of this before, I went searching online for a good roast chicken recipe, and finally settled on Julia Child’s recipe. I got my shopping list together and found everything I needed, fortunately. I have to say, I was a little concerned about the 1/2 cup of celery leaves – but I just pulled all of the leaves that I could out of the whole celery bunch and it seemed to work out okay. 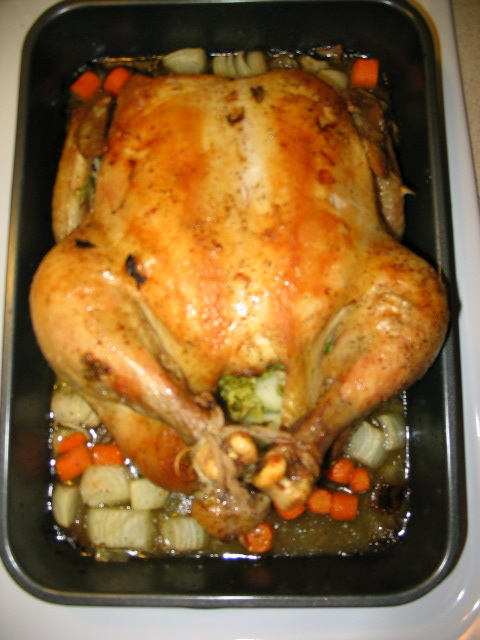 I prepared the chicken the way Julia said to, and a couple of hours later pulled it out of the oven. 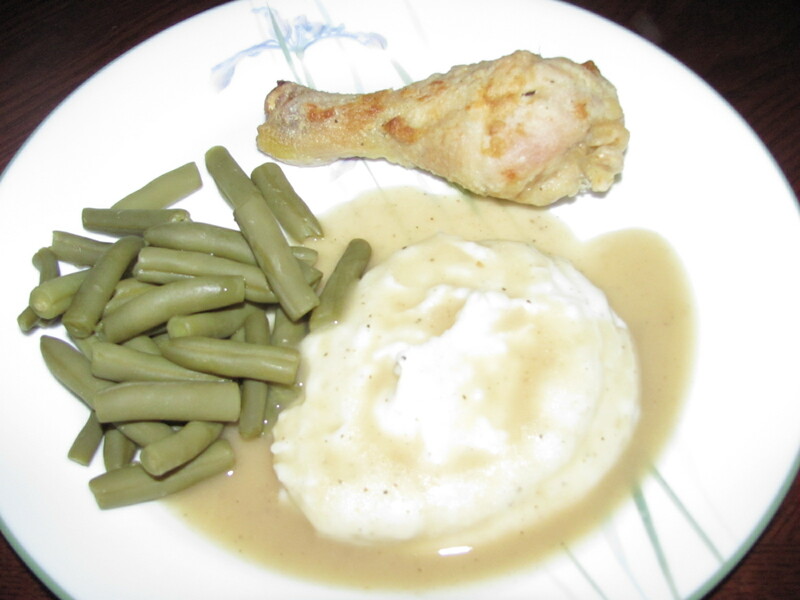 After the chicken had cooled, I pulled it all off of the bones, and put the bones into a bag until the next day. When I woke up, I got myself all ready for a day of busy work while I let the stock simmer on the stove. I had already looked through various recipes for chicken stock, and decided that I didn’t really need to follow a specific one. They all seemed to have the basic ingredients of: carrots, onions, and celery (or ‘mirepoix’), so I put the bones in my biggest pot (which was just big enough) along with the mirepoix and a couple of bay leaves. And of course salt and pepper. My house smelled so good all day!! 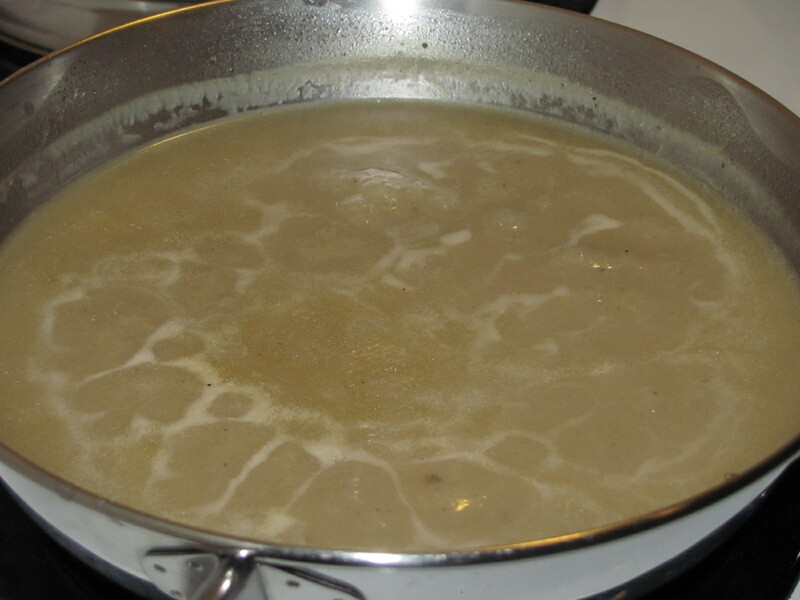 And after letting the stock simmer for several hours (I think most recipes said 4 hours or so? I might have let it go for closer to 5) it looked ready to be strained and put aside for chicken soup.